The stakes were high on Saturday at the Westmont All On The Line Open, as the meet provided the Tritons’ track and field team a final attempt to claim a spot in the national championships, which will held two weeks from now. Junior jumper and thrower Savanna Forry gave herself the best chance to qualify for the national championships as she went on to improve her provisional qualifier on the high jump from 5’7.25” to 5’7.75” to win the high jump event. Senior teammate Kristen Daugherty placed third in the high jump with a mark of 5’5”, while on the men’s side, senior Sean Cook (6’6.75”) and sophomore Raymond Silver (6’2.75”) finished sixth and eighth, respectively. The women’s 4×400 relay team of sophomore Meghan Fletcher, juniors Jackie Chalmers and Marisa Padilla and senior Ellexi Snover slightly improved its provisional mark by a bit over half a second with a time of 3.47.45, while the men’s 4×100 relay team of freshman Andrew Dirks, sophomores Justin Hunter and Paul Doan and junior Emmanuel Elijah finished with a time of 41.22. Sophomore Matt Bowen, who already qualified for the NCAAs, went on to win the triple jump with a mark of 49’0.75”. In the women’s javelin competition, senior Haley Libuit (135’2”) placed second while attempting to improve her qualifying time, but missed the mark. Snover, however, was able to to take third in the event with a throwing distance of 129’1”. In the men’s javelin, senior Travis Vandegriff (193’2”) was the sole Triton and made UCSD proud by putting up a solid performance, finishing second among a field of eight. Senior Daniel Franz nearly turned in a personal-best performance in the 3000-meter steeplechase with a time of 9:16.62 but was off the mark by just four seconds. 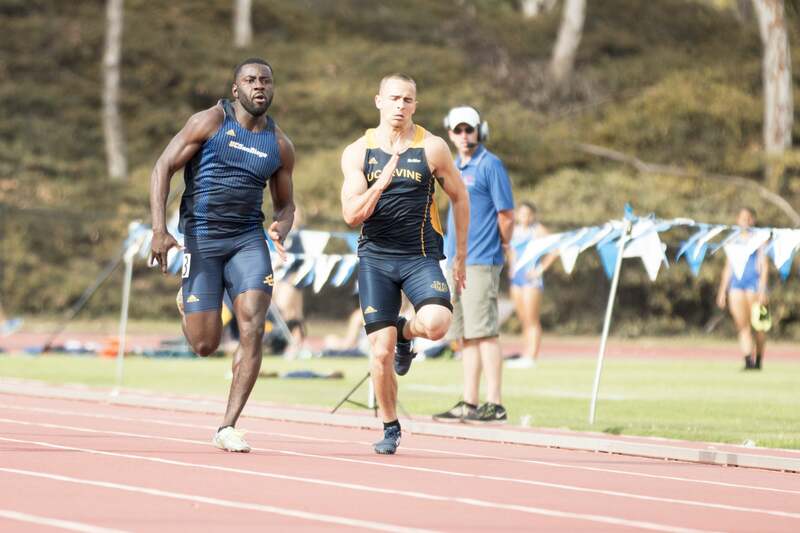 Meanwhile, relay team member Fletcher participated in the 400-meter hurdles, finishing sixth with a time of 1:03.32. Next up, junior Chrissi Carr aced the pole vault event by finishing at the top of the event with a clearance of 12’2.5”. Meanwhile, sophomore Nick Famolaro (1:56.18) finished 10th in the 800-meter race in a field of 16 individuals. The Westmont meet brings the curtain down to a brilliant season for some Tritons, but for a select few, the chance at glory will take place at the NCAA Championships in Bradenton, Florida from May 26 to May 28. The Triton champions will be looking to put in two solid weeks of training in order to make a statement at the national championships. The national qualifiers will be announced on May 17 on NCAA.com via press release.